The Center for Truth and Healing (CFTH) is making major progress in our first month of operations. We’ve assisted five local families with food, clothing, baby furniture, and housing issues. We’ve collected a number of donations for victims of this season’s hurricanes in Florida, Texas, Georgia and The Caribbean that will be delivered once we reach our goal. 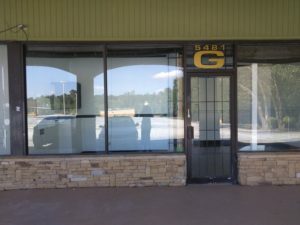 We’ve received donations from national supermarket chains (Kroger and Sprouts Fresh Market) and to top it all off, we were awarded office space in Stone Mountain, Georgia by The Brantley Foundation, a nonprofit organization that works to empower young boys and men. This is a great start to establishing our organization and having a place to serve our clients. Once we are moved in and secure enough donations, we will open our weekly community pantry and launch our program “Everyone Eats”. At the present time, our organization lacks the basic office supplies and equipment to operate in our new space. If you, your organization/business, or someone you know has office supplies, equipment, and furniture to donate, please contact us to arrange pick-up or drop-off. All donations are appreciated and are tax deductible.